I have to admit, before I did this review, that I am a big fan of the first Avatar. The Disney movie-level animation blew my mind when it first came out and showed that the American public can enjoy something other than slapstick animation comedies. I followed the adventures of Aang and his friends from beginning to end. So when I first heard that they went in a new direction with a female Avatar, I couldn’t wait to see her in action; however my excitement was short lived. The series lost its playful edge and became something else entirely, so I let the first season fly by me. However when Valkor had me review the second season… I was a little bit hesitant at first, but after going through all the episodes, I can say that there is some gold in them thar hills. Spoiler Ahead. After bringing peace to Republic City, Tenzin, Korra’s teacher, feels that she needs more training. So he suggests a trip to visit air bending temples. 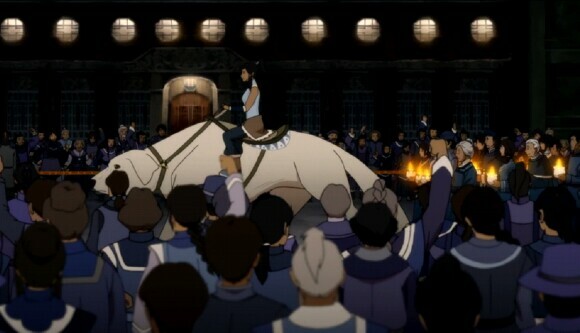 Yet before they visit their first temple, Korra goes home to attend a festival celebrating spirits. It’s here where we meet her uncle, Unalaq, who is chief of the northern and southern tribe, and her twin cousins, Eska and Desna. Unalaq feels that the world has lost touch with its connection to spirits and this has caused the spirits to get angry and attack humans. When a dark spirit attacks her, Korra realizes she can no longer ignore this growing threat and that Tenzin may not be the teacher that she needs. Going by the advice of Unalaq, Team Avatar goes to a forest that connects the spirit and living world and reopens the portal. Yet there is no time to celebrate as Unalaq launches an invasion force against the southern tribe and quickly takes over the Southern Water Kingdom. Korra rescues her dad from a fake trial and also learns some unpleasant information about her dad and uncle’s past. She returns to Republic City to get help from the president, but is met with roadblock after roadblock. Also the stress of her situation causes her to break up with her boyfriend, Mako. As she leaves Republic City to visit the Fire Nation for help, she is pursued by her cousins and later swallowed by a spirit that drops of her off at a Fire Temple. To connect with her spiritual side, as Aang once did, and regain her memories, she journeys to her past lives and learns about the first Avatar and how the position of the Avatar came to be. Korra also learns about the light spirit, Raava, and the dark spirit, Vaatu and about Harmonic Convergence, which is a battle between the spirits that determines who controls the planet for 10,000 years. With this battle only weeks away, she hooks back up with Tenzin again and tries to invade the Spirit World. When Tenzin fails, his daughter Jinora succeeds in guiding Korra to the Spirit World. Yet Korra is not ready and becomes separate from Jinora. 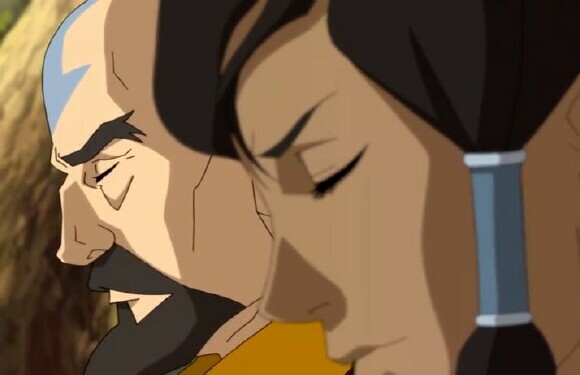 A kind face from the past, Iroh, teaches Korra to have more control over her feelings and puts her on her quest that restores her back to normal. 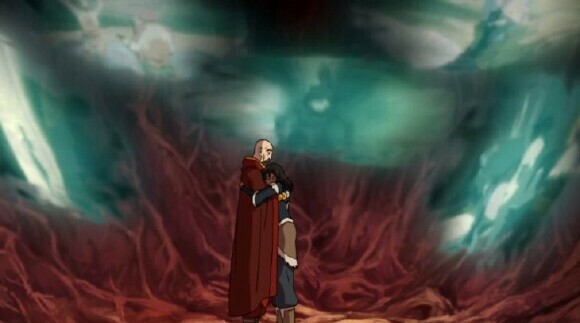 Jinora meets an old enemy of the avatar, Wan Shi Tong, and is captured by Unalaq. To save her life, Korra is forced to reopen the northern portal. The enemy then beats down Korra and keeps Jinora’s spirit. 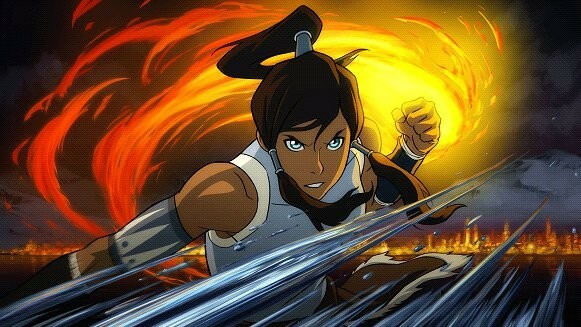 Yet before Korra is killed, she is rescued by a spirit creature and escapes back to the real world. 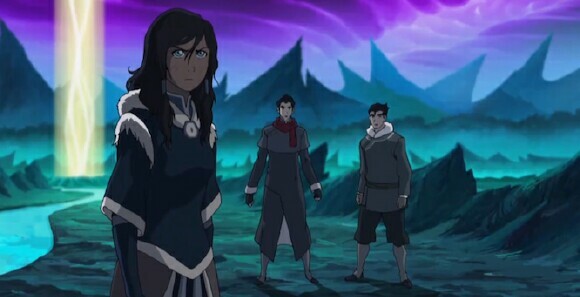 Team Avatar has no chance to relax as they decide to bring the fight directly to Unalaq in the Southern Kingdom. In a weird turn of events, Tenzin’s brother, Richard Riehle, manages to bring down Unalaq’s defenses and rescues Team Avatar when they are captured. 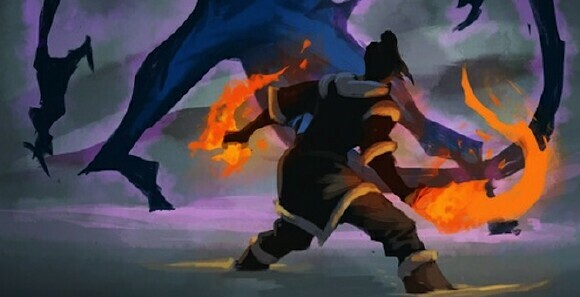 Korra confronts Unalaq in the Spirit World, but is unable to stop him from merging with the dark spirit, Vaatu. They quickly overwhelm Korra and steal her guardian spirit, Raava, from her body, which cuts off her connection with the past Avatars. All seems loss until Tenzin’s knowledge of the Spirit World helps her to find the Tree of Time. By mediating within it, Korra is able to connect with her own spiritual power as opposed to Raava. She emerges as a giant spiritual warrior that begins to lay the smack down upon Unalaq until he regains the upper hand. Jinora, who was rescued by Tenzin in the Spirit World, appears and gives Korra the distraction she needs to overcome Vaatu and Unalaq and release Raava. 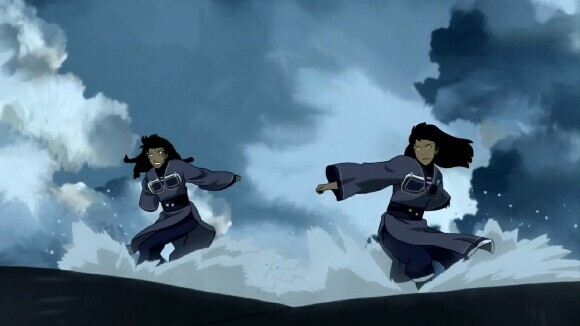 The combine powers of Korra and Raava allows them to cleanse the spirit of Vaatu and Unalaq and make them fade from the world. Korra is then given the decision of following the first Avatar lead of closing the Spirit World portal or keeping it open. She chooses the latter, but whether that was the right choice or not is being decided in season 3. The copy given to review was a Blu-Ray entitled Legend of Korra Book Two:Spirits, which fits perfectly to the stories told. The set comes with two BDs, that encompass the entire second season of the series, plus tons of extras for you to swim through. Along with the normal audio commentary, the scene bending option was interesting. On one side of the screen, you see the finished animation and the other contained screen test scenes. It was amazing to see the line drawings that became the animation. And for those like myself, who missed the first season, there is catch up option that takes you through the first season. The production team of Legend of Korra has once again done a great job in the animation department and the voice directing of the show; you almost feel guilty that you aren’t paying somebody for tickets to watch these hour long episodes of great animation. Avatar’s team also knows how to do a great job with endings. You knew that Korra was going to win, but it was the how to get there part that makes a difference. 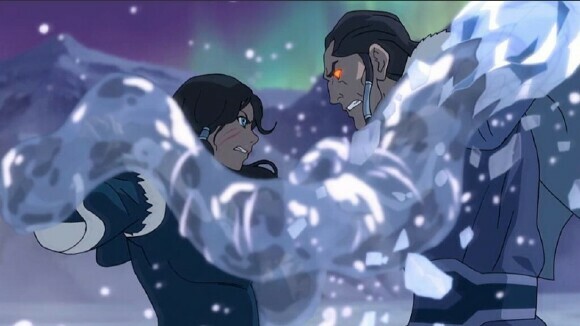 I loved the tension that was built leading up to the final battle and the giant smack down between Korra and Unalaq. It is tough to create giants that don’t feel blocky or hindered by their size, but Legend of Korra does a great job making their movement flow. 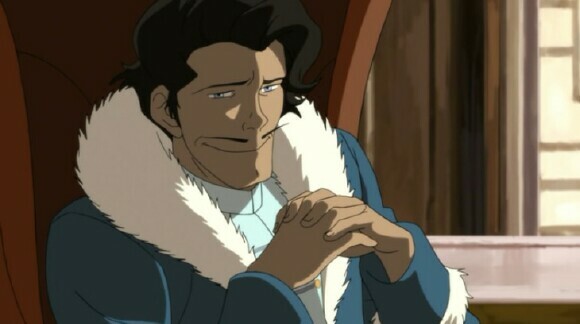 For the sake of plot space, I didn’t cover all the side stories of Legend of Korra, but I truly enjoyed the character Varrick. He is a wealthy business man with enough quirks and one-liners to possibly get his own show. He always seems prepared for everything and the brilliant chemistry between he and his assistant was very funny. Also, I would hate myself… or fear for my life if I forgot to mention Korra’s cousin, Eska, who did a bit of scene stealing as well. Her flat monotone voice and emotion as well as her crazy girlfriend ways managed to put a smile on my face when the episodes felt too long. My favorite episode on the DVD was actually “Beginning Part 1 and 2.” It is a tall order to tell an origin story about a well recognized character, like the Avatar and still combine it with what’s happening in the current story. For the most part, I think they did a great job, but it did leave me wondering about the origin of the giant turtles that gave out the powers and why did they bother protecting humans at all? It was also ironic that the Fire Nation turned out to be the first carrier of the Avatar when I expected an air bender or a water bender. When each episode is an hour long, you are going to get a lot of filler along with the main story. 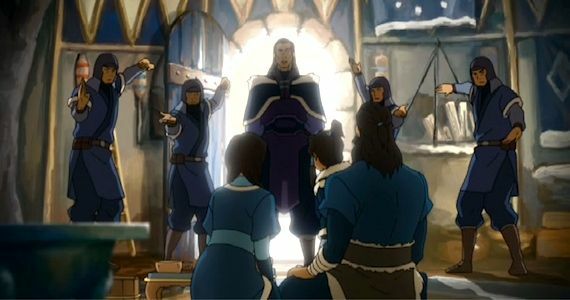 Mako investigation of the bombings in Republic City was okay, because it showed how the outside world was dealing with Northern Water Tribe invasion of the Southern tribe. It also created some intense scenes between Mako and the police force, who I thought was taking bribes, but was just inept in understanding Varrick trying to profit from the war. 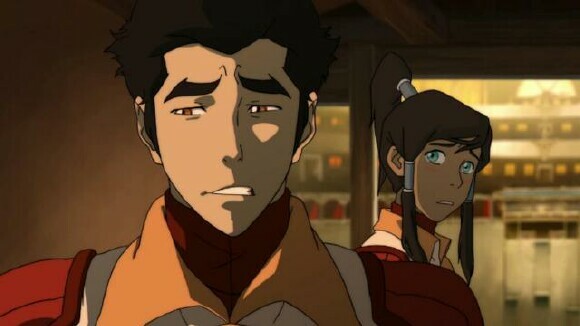 Yet my problem was Bolin’s, Mako’s brother, movie filler scenes. The idea was to create a propaganda film that caused the people to force the president of Republic City to help the Southern Tribe fight off the Northern Water Tribe. I was left falling asleep through most of Bolin’s scenes and was happy when they wrapped it up. I don’t even think that Team Avatar used the Republic City forces anyway. As I finish this review, I have learned that Legend of Korra is threatening cancellation from the TV due to lack of viewership. I hope people don’t make the same mistake I did. Korra is Korra and Aang is Aang. Each character is telling their own story in their own voice and based on the circumstance that surrounded them. I discounted Korra at first and, through this BD I’ve learned how great a character she is. Also, if this set can make my anti-animation mom want to watch then this truly is a powerful series indeed. 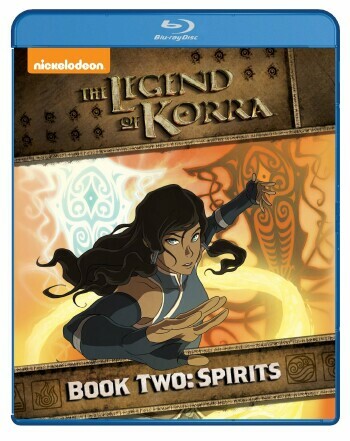 So out of TOV 5 stars, I’m giving Legend of Korra Book Two: Spirits a 5.